RT Vertigo - a professional pattern with bright, extraordinary design from the studio RocketTheme for sites controlled by CMS Joomla 1.5 and 2.5. 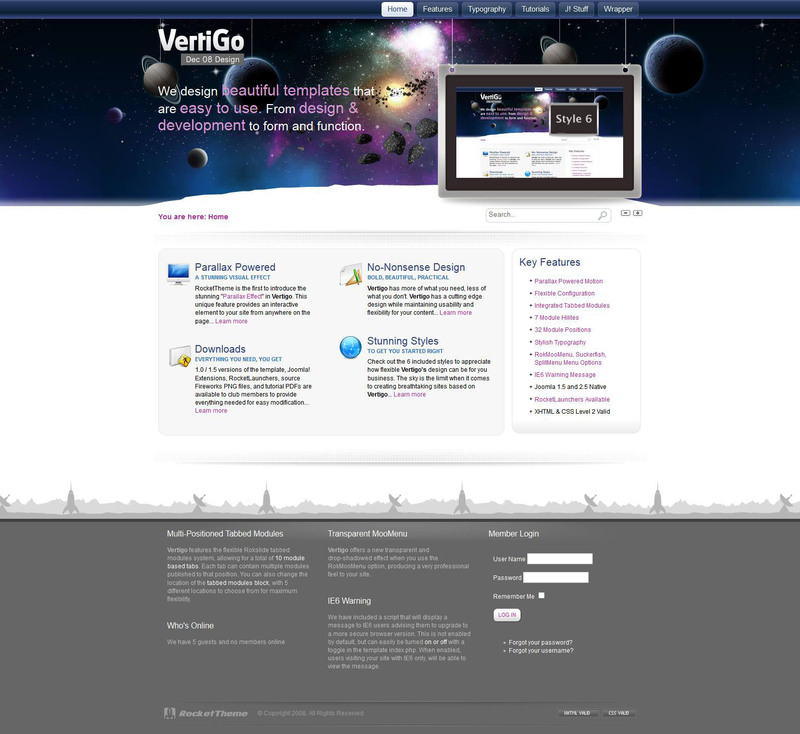 Release template RT Vertigo took place in December 2008, since the template already gained immense popularity. In RT Vertigo has 6 styles and there are 32 positions to accommodate the modular units. All styles "live" performed with the parallax effect. Good functionality provides support for a large number of proprietary extensions, through which you can easily customize the appearance of the site.